My research interests lie in climate change law and transnational environmental law. My book, Governing Climate Change: Global Cities and Transnational Lawmaking will be published by Cambridge University Press in May 2018. Apart from my research and teaching in environmental law, I firmly believe in the power of individual and community action to protect our environment. 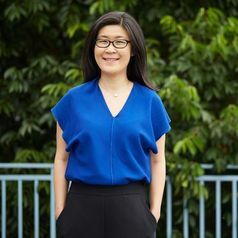 I am a founding member and non-executive director of Urban Spring Pte Ltd, a company that aims to reduce plastic waste by building a water refill network in Hong Kong and beyond. I regularly serve as consultant to environmental non-governmental organizations and support student environmental advocacy.